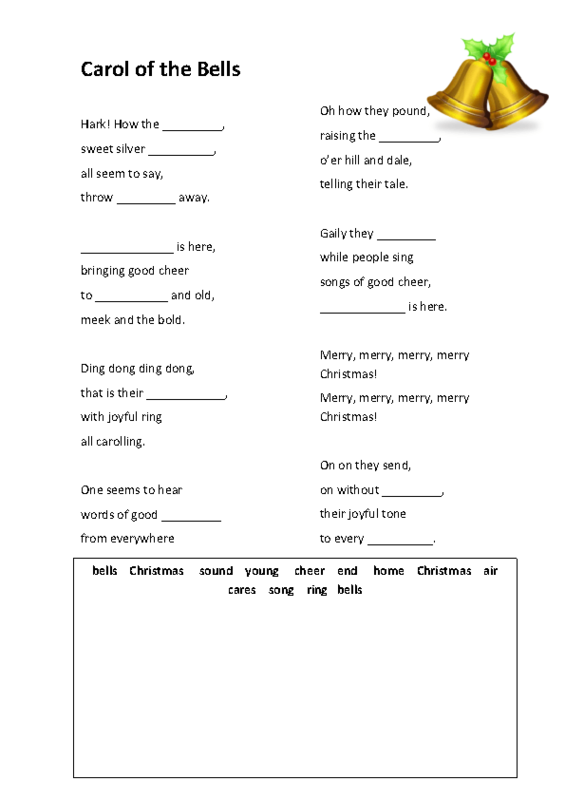 This is a simple song worksheet for elementary students. Carol of the bells is a very nice song to teach before Christmas. This is a fill-gap activity with the missing words given at the bottom of the page, so it will be appropriate even for beginners.